The Barangay Ginebra San Miguel is scheduled for a best-of-seven semi-finals series against the San Miguel Beermen at 7:00 P.M. on March 9, 2018 live from the Smart Araneta Coliseum. 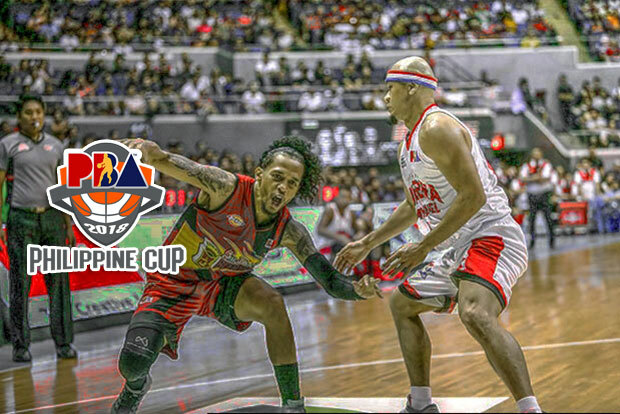 The Beermen and the Gin Kings will open up the semis of the 2017-18 PBA Philippine Cup. It will be another classic titanic for these two squads which can make their respective fans at the end of their seats. In their lone encounter during the elimination round, Barangay Ginebra surprisingly went victorious even without their bigman named Greg Slaughter. An Aguilar not named Japeth came in to the rescue as coach Tim Cone did his usual “Magic Bonut” trick if things aren’t going well. Raymond Aguilar delivered 16 points off the bench along with his two triples. Apart from that, Aguilar was able to help contain the man known as “the Kraken”, June Mar Fajardo. In tonight’s game, Slaughter remained to be doubtful to play and he will be a game time decision. “Big thing for us is whether Greg can play. That will really help us equalize. That would be the great equalizer,” said Cone. In last year’s All-Filipino conference finals match, San Miguel easily dispatched the Gin Kings in their series, 4-1. Then on the 2017 PBA Governors’ Cup, Ginebra had its revenge that probably really hurt the entire SMB franchise as they stopped them to accomplish a rare Grand Slam. However, the word “revenge” it’s not really in the minds of coach Tim Cone. Instead, he choose better executions in their play on both ends of the court.